“Are you King of the Jews?” Jack Harnish ponders Pilate’s question on the day known as Christ the King Sunday. I love the liturgical year, the calendar by which the church marks time. (I don’t love the fact that there are too many “green” Sundays and not enough “red”, but that’s another matter.) 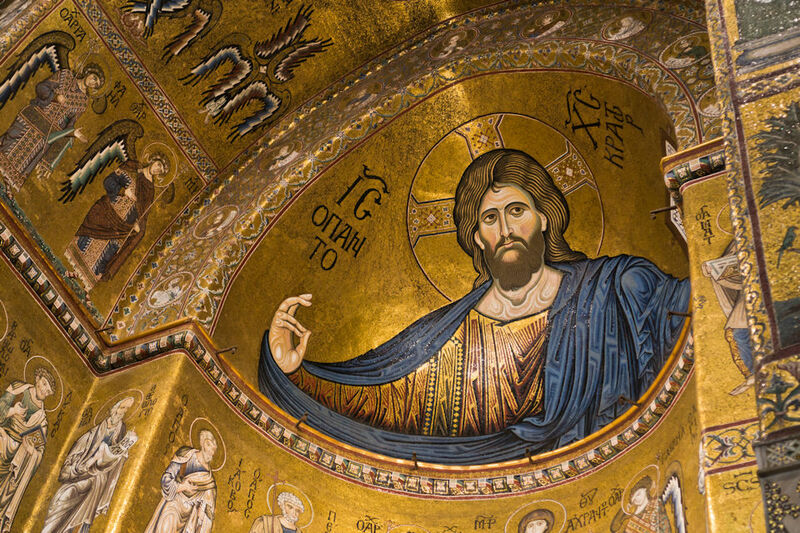 I love the way it moves us from the Advent promise of Christ’s coming through the history of the church and finally ends with “Christ the King” Sunday– celebrated this year on November 25. Then next Sunday we start all over again with Advent and the haunting prayer “O Come, O Come Emmanuel”. not the Republican party, even though Jerry Falwell and a host of Christian preachers want to claim it as such. But Jesus also taught us to pray, “Thy Kingdom come, thy will be done, on earth as it is in heaven.” One of the great anthems of praise in the Book of Revelation affirms that “…the Kingdom of this world, is become the Kingdom of our Lord and of His Christ; and he shall reign forever and ever.” So which is it? Is he or isn’t he a “King”? And what does it mean to pray for His Kingdom to come on earth? This has been the great theme of many preachers and theologians including the evangelist-writer E. Stanley Jones, who wrote more than one book about the “Kingdom of God.” I would not try to answer the question in one brief blog, but I will venture to say that though Christ’s Kingdom is not OF this world, we are called to bring the values of the Kingdom to bear ON this world. When we pray, “Thy Kingdom come on earth,” we are meant to be part of the answer in working to bring the Kingdom a bit nearer by our lives and our witness. We are sent as the advance team, the ambassadors of the Kingdom which is to come, living in accordance with the values of Christ’s Kingdom. Particularly in a democracy where we have a voice in the affairs of our society, we are called to measure the earthly kingdom in the light of the eternal Kingdom, always witnessing to the One who is our true and only King. One of E. Stanley Jones’s books on the subject is called, “The Unshakable Kingdom and the Unchanging Person.” As the followers of the Unchanging Person, we live in the values of the Unshakable Kingdom so that His Kingdom might come just a bit closer and His will might be done on earth, or at least in us, even as it is in heaven. We do the work of His Kingdom so that in the end, the kingdoms of this world might become the Kingdom of our Lord and of his Christ, and he shall reign forever and ever. Until that day, we live in the light of the Kingdom, shining that light into a dark world. Until that day when the Kingdom finally comes in all of its fullness, we will be representatives of that kingdom in a fallen world. ~ The Rev. Jack Harnish is a retired pastor living in Northern Michigan. He blogs at, “Monday Memo.” Reprinted with permission.